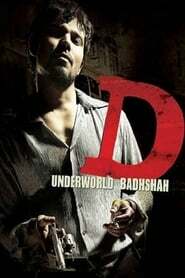 Deshu, a mechanic from Dubai, comes home to Mumbai, and gets embroiled in a crime by accident. The film shows his meteoric rise from common, law-abiding man to underworld kingpin. After his mother passes away, Mumbai-based Deshu returns from Dubai to condole his married sister, Kumud, and retired police constable father, but becomes embroiled with the police as well as the underworld after he witnesses a brutal homicide. Hounded by both the police and goons affiliated to Mangli, he decides to enter the criminal world of Hashimbhai, a rival of the later, and begins his career by killing Mangli. His rise in the gang is phenomenal, and his association with Bollywood beauty, Bhakti Bhatnagar, creates jealously amongst Hashim’s sons, Shabbir and Muqarram, who also feel demoralized and threatened, and use every opportunity to instigate their father against him, while the Mumbai Police assign ‘Encounter Specialist’ Inspector Razaak the task of doing away with Deshu.